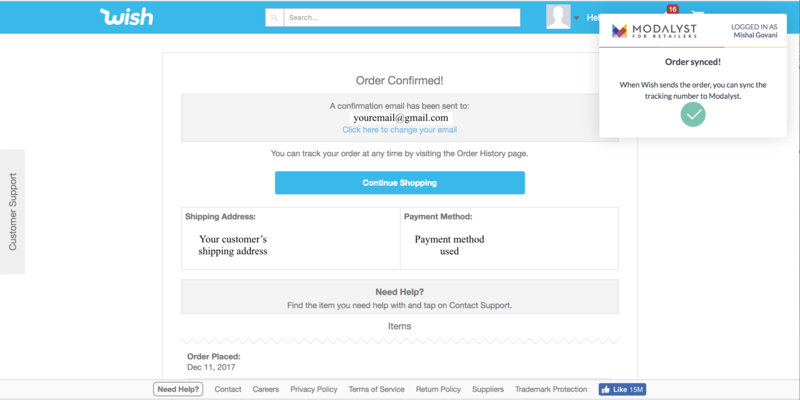 When your customer places an order on your Shopify/BigCommerce website and the product purchased was added from wish.com, follow these steps to complete the order. 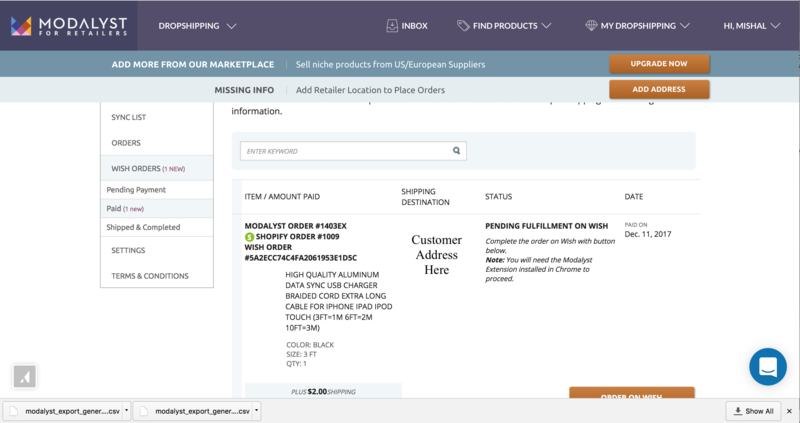 When your customer places the order, it will automatically sync with Modalyst, and you will be able to see it in your "Pending Payment" section here: https://modalyst.co/my_dropshipping/orders/external/open/. Click "Order on Wish" to proceed. 2. The app will automatically fill in all your customers information in the required fields. If you get stuck on any particular page, simply fill out the missing details and click "Next" to proceed. 4. That's it! 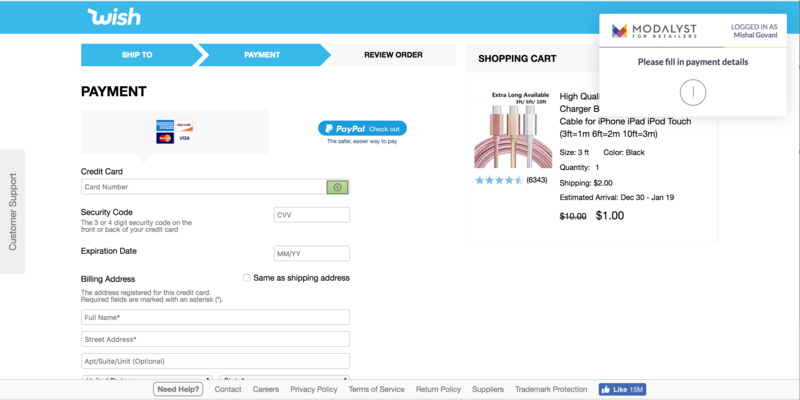 When you see the payment confirmation page, the details will automatically be synced into your Modalyst and Shopify store, and you will be able to see it in the "Paid" section of your Modalyst account. 5. When the order is shipped, you will receive an e-mail from Wish letting you know. 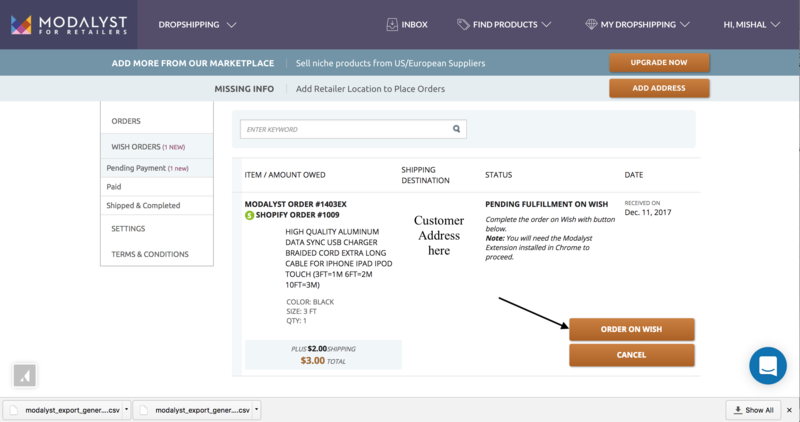 When you receive it, simply visit the tracking page on Wish.com and click on the Modalyst extension to sync the information with both your Modalyst and Shopify/BigCommerce store!